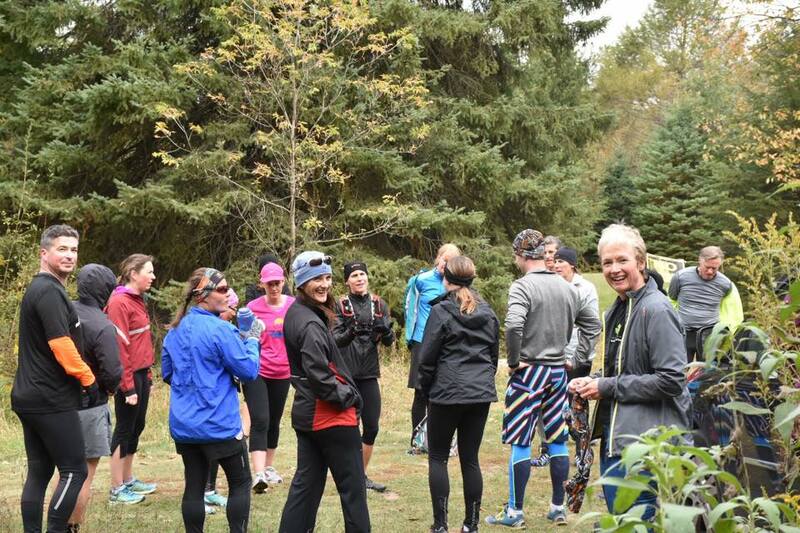 23 happy runners getting ready to run! 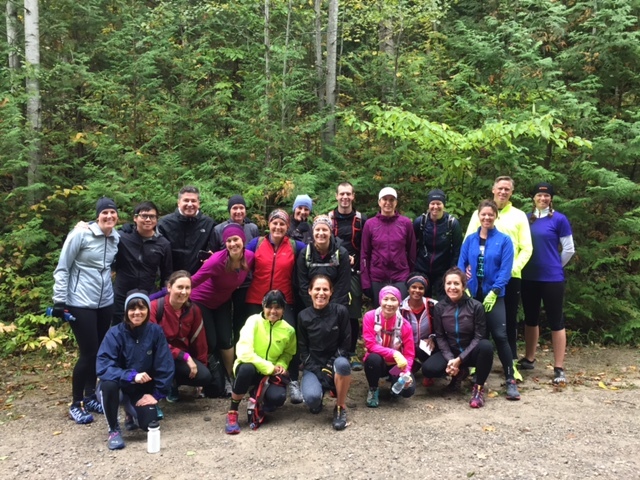 After hosting another Trail Running Retreat earlier Oct 2-4, I continue to be amazed with the energy, enthusiasm and pure fun that comes from bringing together a group of diverse people for a weekend. 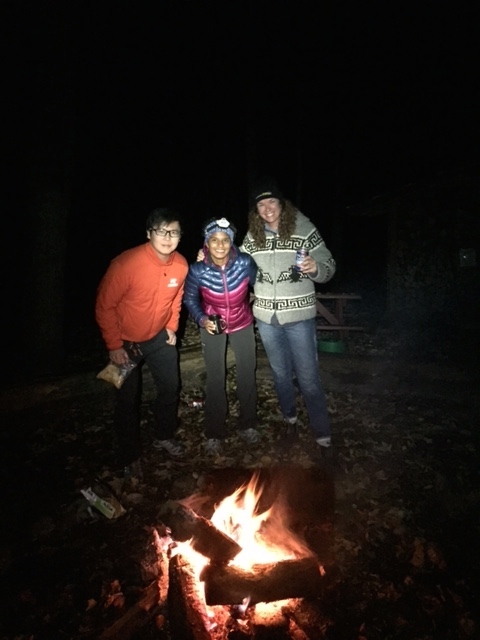 After nearly 48hrs, new friendships were formed, confidence levels were raised, stress levels were decreased, and motivation for a new training season had grown. 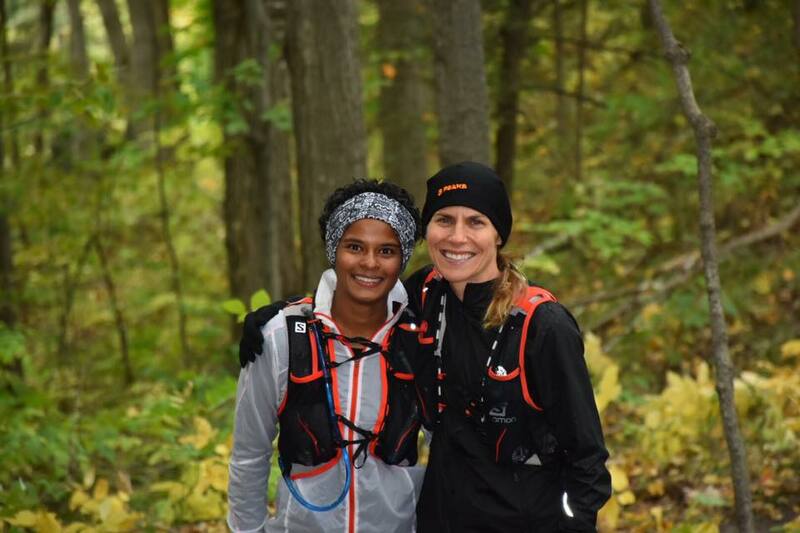 Participants came from all levels of experience: from having just ran their 1st 5K, road junkies looking for a new experience, Ironman finishers (bound for Kona 2016! 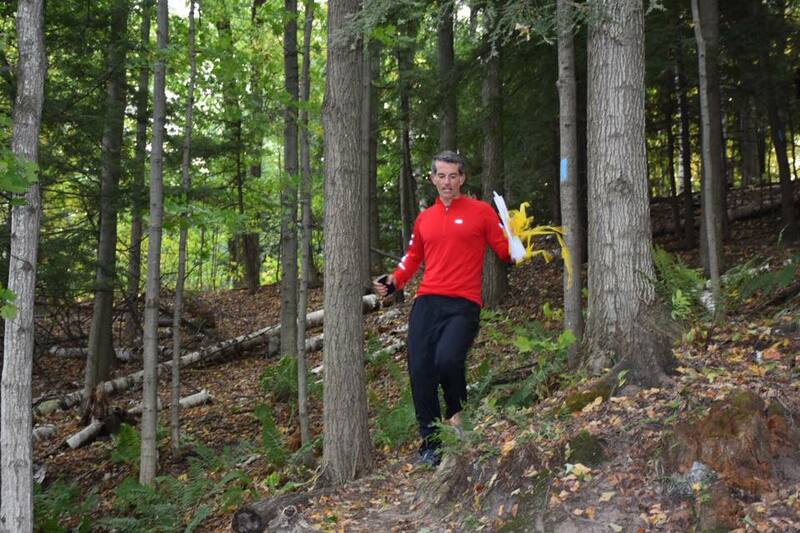 ), newly-converted trail runners and seasoned trail veterans with a few ultra’s under their belt. Ages ranged from the 20’s to the 60’s. But as diverse as the group was, we were all there for one common purpose: to play in nature’s very own backyard! And this one common thread lead to an amazing group dynamic and great time by all. The focus for this year was Rejoice…Reflect…Renew. In other words, a celebration of the accomplishments, learnings, and a time for renewal! And no better place to host such an event than the Ecology Retreat Centre in Hockley Valley. Whereas it does not have the fixings of a luxurious hotel chain, its immediate access to the trails, the rustic charm décor, its peaceful setting nestled among the trees, the wonderful catered meals and the staff friendliness, makes ERC an excellent venue where participants feel like they have taken a little escape for their normal routine. Alistair Munro, running coach and accomplished trail runner, shared some very helpful and practical tips on how to set up one’s training. For additional entertainment and inspiration, runners viewed 2 episodes of the popular show Boundless, where Canadian Simon Donato and “Turbo” Paul Trebilcock competed in some pretty insane ultra running events. The weekend would not be complete without the option of roasting marshmallows by the fire! Thanks Jennifer for an awesome weekend! you are a fabulous hostess and it was pretty great how you went out of your way to make sure everyone was affirmed in many ways…..way to go!! What a great weekend! What fun we had but truly, your time and terrific effort put into the event all paid off. The venue was excellent, the meals were perfect and the instruction was high end. I loved that it was two nights. Getting away for a full weekend really made it feel like a retreat and a time to unwind. 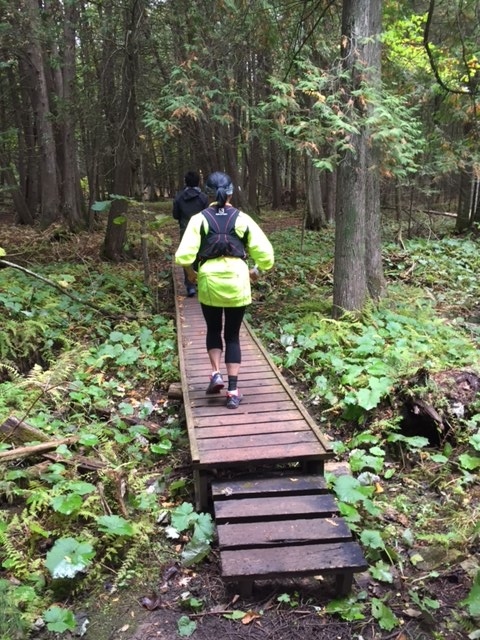 Beautiful place and just perfect for a trail running clinic. It was not too far from where everyone lived yet far enough to make it feel like a short vacation. The ECR was exactly what I had hoped it would be – close to the trails and surrounded by trees – a perfect way to relax. I have had the most fun retreat experience in years! 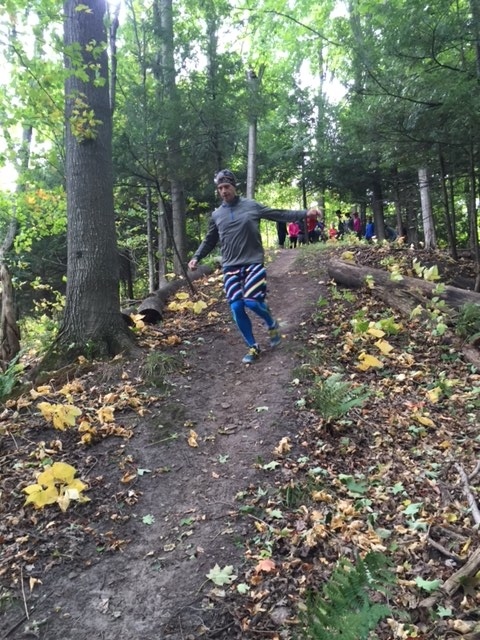 In addition, I learned several trail running techniques that are very useful. 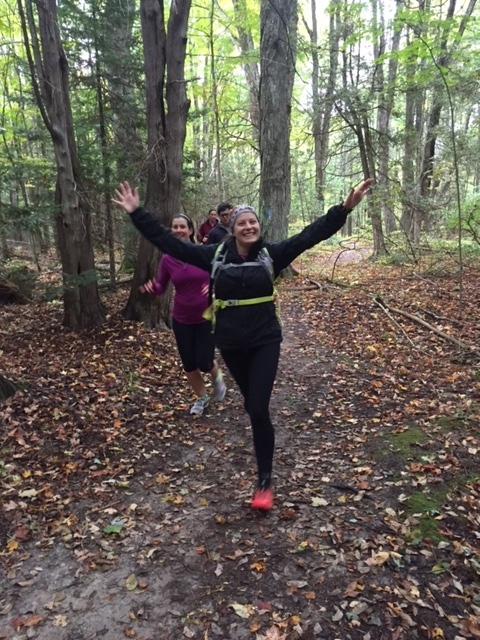 Your enthusiasm was contagious Jennifer and the retreat gave me a renewed desire to train harder and smarter for next season! I loved every aspect of it! I was afraid that I wouldn’t be able to keep up with the group, but Jennifer did a great job at accommodating people’s difference. I learned some helpful tips and could feel my confidence improve by the end of the weekend. 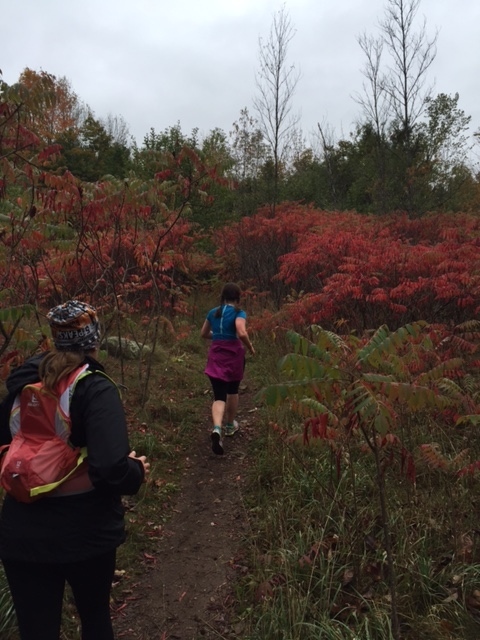 Bruce Trail is always a favourite! All in all, I would say it was a very fun and successful weekend. A very special thanks to those that were there and made it all happen. Also a big thanks to the great companies that supported me, including 5 Peaks, Salomon (especially Salomon Toronto), Clif, HoneyMaxx, Altra, Endurace Tap, MEC,Boundless (HLP tv), and Joshua Young. Now to start planning for next year’s retreat! Send me a message if you want me to keep you posted on the dates! Wow, you know how to take it from start to finish. An excellent overview of the retreat…with one exception. You forgot to mention what an amazing lead instructor we had! Looking forward to next year!